Our experience working with Nick and Suzanne at Damin printing was outstanding! They were quick to come onsite and showcase a variety of options to choose from for our Sheetz gear. Both Nick and Suzanne were extremely professional and very patient throughout the process. They were able to quickly identify products and options that met our needs. 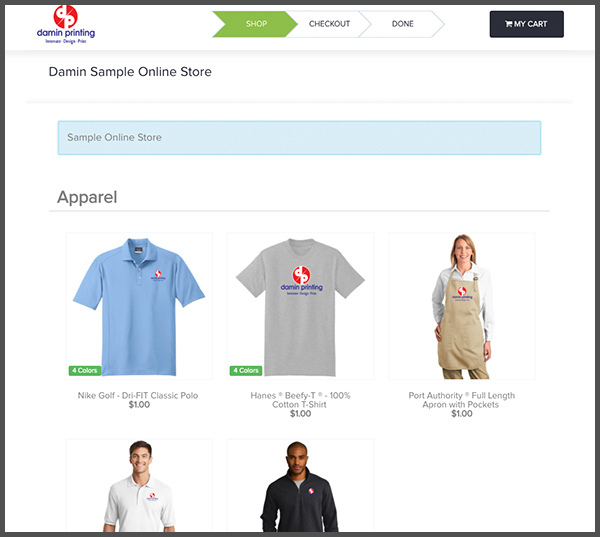 Our team was thrilled with the new gear and would definitely order from Damin printing in the future. Having worked with Damin Printing Representatives for a few years now on an annual basis. I can confirm that their company consists of both excellent people and procedural professionals. Nick and his team are wonderful. They are attentive and helpful. It’s a pleasure doing business with them and their products are always high quality!